Home » Testimonials » Look at what people are saying.. I discovered your pen rests by accident but I can’t profess my enthusiasm and joy enough! I received my first pen rest from you today, a silver block with midnight top. It will be used to display my Yard O led Retro Grand fountain pen which will be a birthday present from my wife in April. It only took a few minutes, after opening the box to realise I wanted another one. The order is with you now. 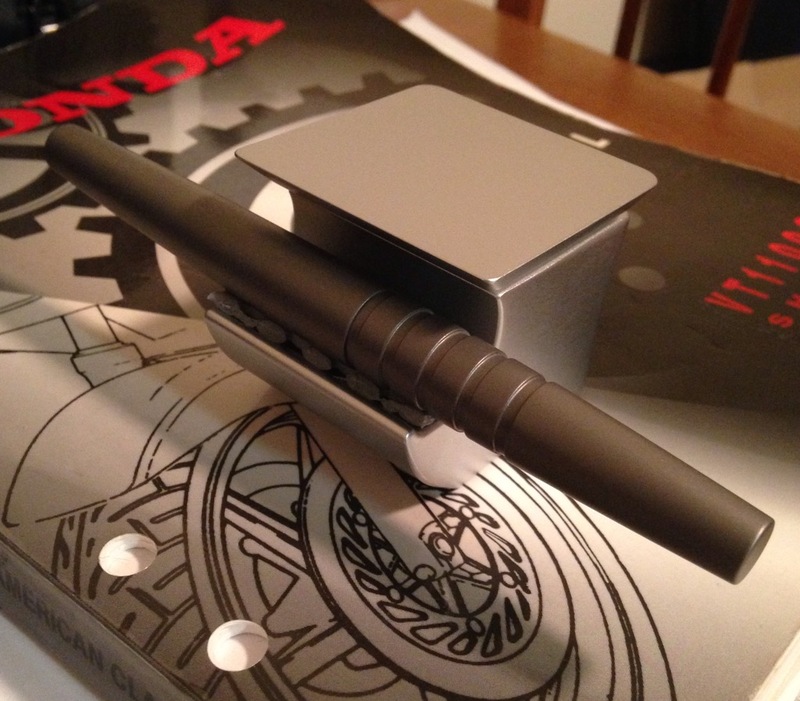 I have wasted a great deal of time and money trying to find the ‘right’ pen rest for me in terms of quality, price aesthetics and practicality but today the perfect solution is in my hands. Congratulations on producing such a cracking solution which adds another dimension to pen ownership. The most striking thing is the simplicity which lens itself to modern and vintage pens, presenting the writing instrument as a little piece of ‘art’ without adding cluttered lines or needless embellishments. Many I wish you the very best of luck with your venture! 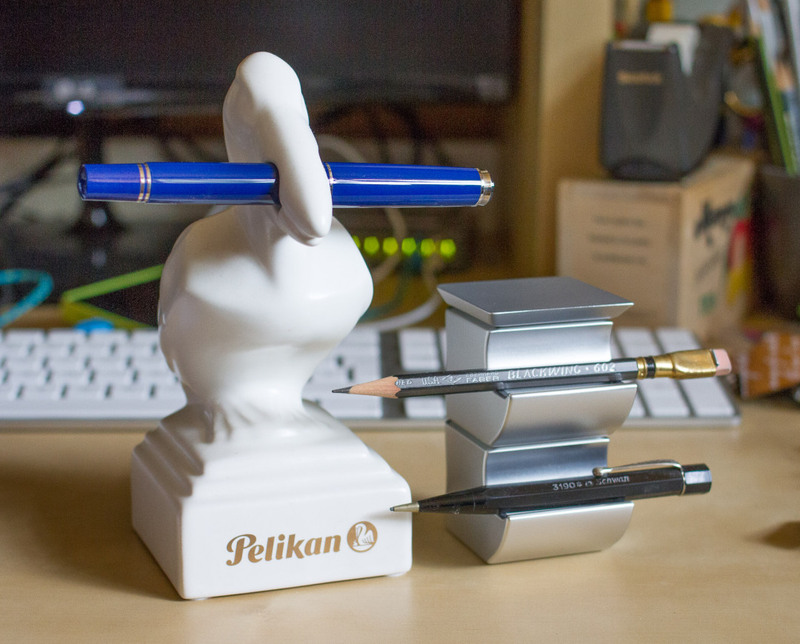 Here are some thoughts about the Pen Rest. smartphone landscape on the sill it would not slip because of the mat…. Try it and you’ll see it slips off. I have been using The Pen Rest since they were received and they are excellent. Well made and look good at my desk. The weight and balance confirms the care and quality of the product and they are worth the money. I would recommend them to fellow pen collectors and think they will make superb gifts. The Pen Rest arrived the other day and we just want to say it is beautiful. You should be very proud of your design. Both gold and silver blocks look better then we have even imagined. Excellent quality, the finish is amazing and definitely heavier than we expected . As the attached pictures show, the packaging is very nice that makes the product even more unique. I can confirm that the Pen Rest arrived and they are excellent. I love everything about the product, the package including box, rest, build and feel are to a very high standard. Well worth the investment. I am back in the office tomorrow and will be taking the Pen Rest with me so will be able to provide some pictures. Once again an excellent product.